Day 3 of home Chinese preschool. I started to have a sore throat this week and this morning I woke up by my cough and couldn't sleep since 5. I was worried that I might wake up my husband with my cough but gladly he slept through. Then my oldest E missed his school bus because he was really slow, and so I had to huddle my three boys into our van to drive to school. I really cant complain, because most parents drive their kids to school every day any way, I lucked out that I don't have to do that every day. And then since we were out so we went and got groceries, by 9:30 I felt like I've been up forever. I'm sure you understand that ;) So since I felt really tired and kind of sick, I decided that today's preschool is going to be a game day. That's a nice thing about homeschooling I guess, you make your own schedule with no guilt. 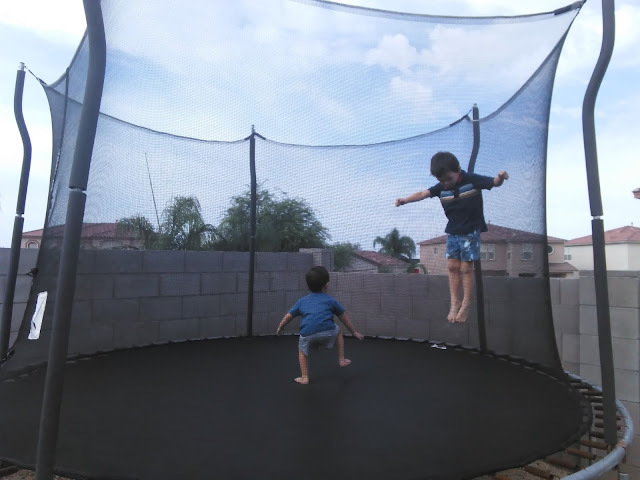 Good thing we have a trampoline, so I made the boys go outside and jump on the tramp for a good 20 mins. My two year old P brought me books to read. I cant say no. We have tons of Chinese books, every time we went to China, we brought back lots of books. Here is a list of Chinese children's books that we reviewd, we still have lots of them that we haven't gotten time to review, but stay tuned. We will get to it. If you have any good books that you wanted to share with us, please feel free to send us a message or comment. We are always open to new books! There are a lot of games that you can play to practice Chinese, our favorite three games that we like to play with our kids are "spot it", "Uno", "Rock, paper, Scissors" (Click on the link to see the posts about games), because they are English games but you can also play them in Chinese. I printed out some coloring pages from our free coloring book, I am sure though you can easily find free Chinese coloring pages online to print out as well. 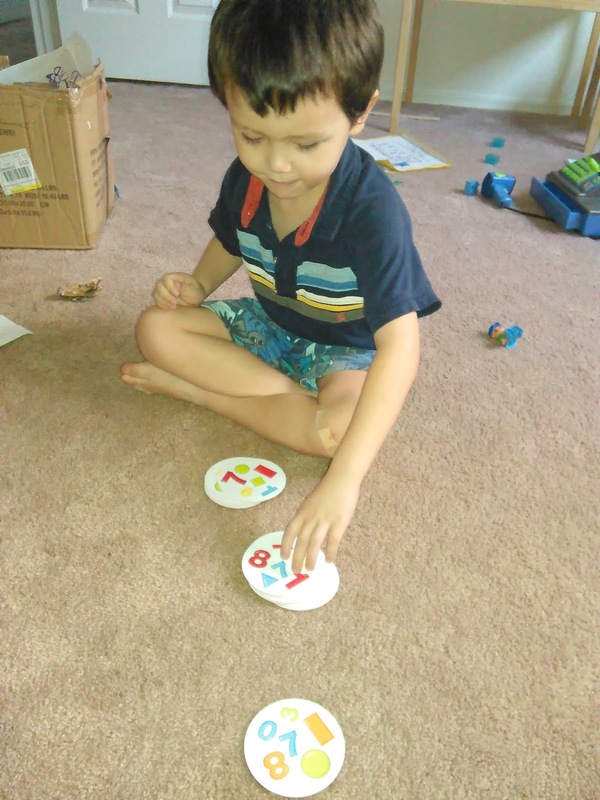 My boys generally loves anything related to writing, coloring, cutting, tapping and painting... But it could be totally boring for your kids to sit down and color. If that's the case, I'd recommend playing with some Chinese games on ipad, or smart phones. We have a good list of apps and games, that you can find here. There is another thing I like to do with kids when they are tired, grumpy, or if I am just plainly out of patience, I let them watch chinese videos or tv shows. You can always make a playlist on youtube for your favorite chinese nursery rhymes, videos, tv shows. I even like to cut my boys nails while they watch Chinese nursery rhymes/tv shows, it saves me from wrestling with them.